THE BANK of Cyprus board of directors decided to extend chief executive officer John Patrick Hourican’s contract for two more years. The lender was commenting in a statement on the website of the Cyprus Stock Exchange website on Tuesday. The new contract of the bank’s CEO who submitted his resignation in April citing personal reasons and took over his position in late 2013, will enter into force on February 2016. 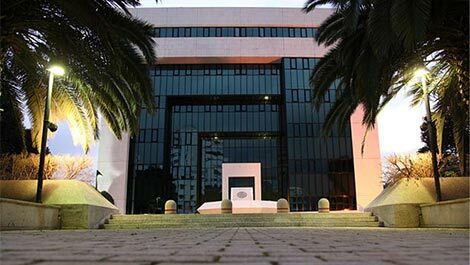 The board thanked Hourican for his services and his contribution to the bank, Bank of Cyprus said. The bank’s chairman, former Deutsche Bank strongman Josef Ackermann, said that he and the bank’s board of directors were “very pleased” over the Irish banker’s decision to continue his “excellent work” by signing a new contract. “I would like to express our thanks to Rioghnach Hourican who is sitting in the front seats for her support for John’s decision,” Ackermann said at the bank’s annual general meeting right before offering her a bucket of flowers. “As you know, the board’s nominations committee has launched a search for a new CEO since last April and we have actually made substantial progress in this regard by identifying a short list of well qualified candidates,” Ackermann said. “At the same time, however, we have been working on John to encourage him to reconsider his earlier decision to step down and to remain instead on board. We are delighted at the end that John and his family have agreed to do so”. Good, surprised the govt has not stepped in to prevent him staying, what with his outspoken but truthful comments about how various parties scuppered true reform at the banks by delaying passing of relevant laws…..
Good man. Now he can finish the job.